Pope Benedict XVI (formerly, Joseph Ratzinger) has announced that he will resign at the end of the month. Advanced age is the reason. While not being able to meet his obligations due to advancing age is a good reason to resign, taking responsibility for the lapses, his own included, for the child abuse crisis would have been nothing short of awesome. Richard Sipe (and others) had called for his resignation back when the crisis was breaking in Europe. But that would be admitting guilt. Not something, the Vicar of Christ is capable of, right? In the past, ten other popes (mostly real, some possibly fictional) have resigned. Here is the list (courtesy NCROnline). 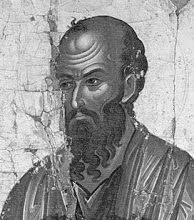 Clement I (92?-101): Epiphanius asserted that Clement gave up the pontificate to Linus for the sake of peace and became pope again after the death of Cletus. Pontian (230-235): Allegedly resigned after being exiled to the mines of Sardinia during persecution of Maximinus Thrax. Cyriacus: A fictional character created in the Middle Ages who supposedly received a heavenly command to resign. Marcellinus (296-304): Abdicated or was deposed after complying with Diocletian's order to offer sacrifice to pagan gods. Martin I (649-655): Exiled by Emperor Constans II to Crimea. Before he died, clergy of Rome elected a successor whom he appears to have approved. Benedict V (964): After one month in office, he accepted deposition by Emperor Otto I.
Benedict IX (1032-45): Benedict resigned after selling the papacy to his godfather Gregory VI. Gregory VI (1045-46): Deposed for simony by Henry III. Celestine V (1294): A hermit, elected at age of 80 and overwhelmed by the office, resigned. He was imprisoned by his successor. Gregory XII (1406-15): Resigned at request of Council of Constance to help end the Great Western Schism.